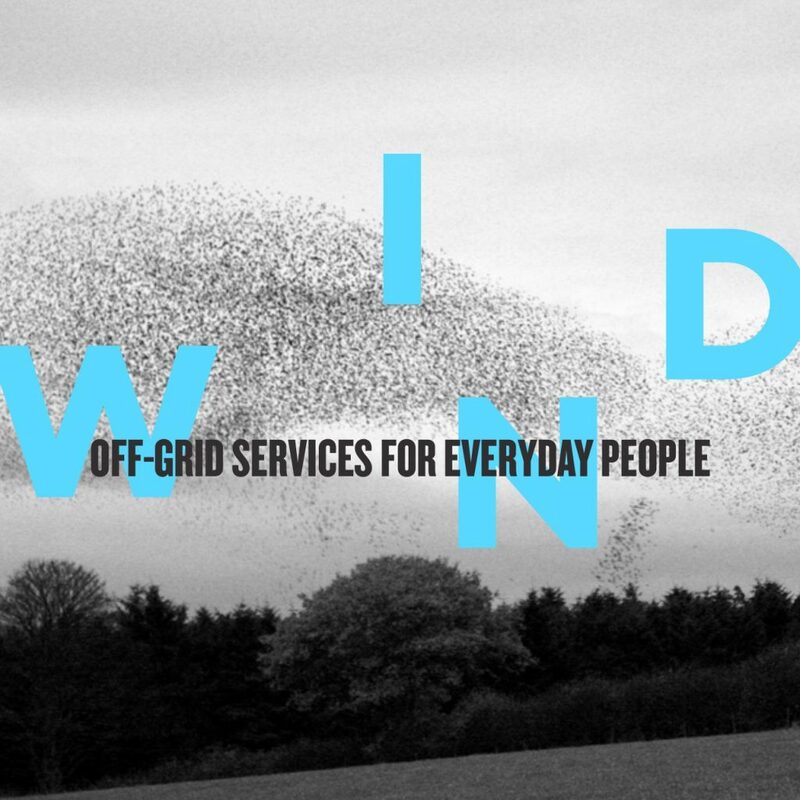 Wind is a network designed for opportunistic communication and sharing of local knowledge. It is built on impermanence, movement, and spontaneity. 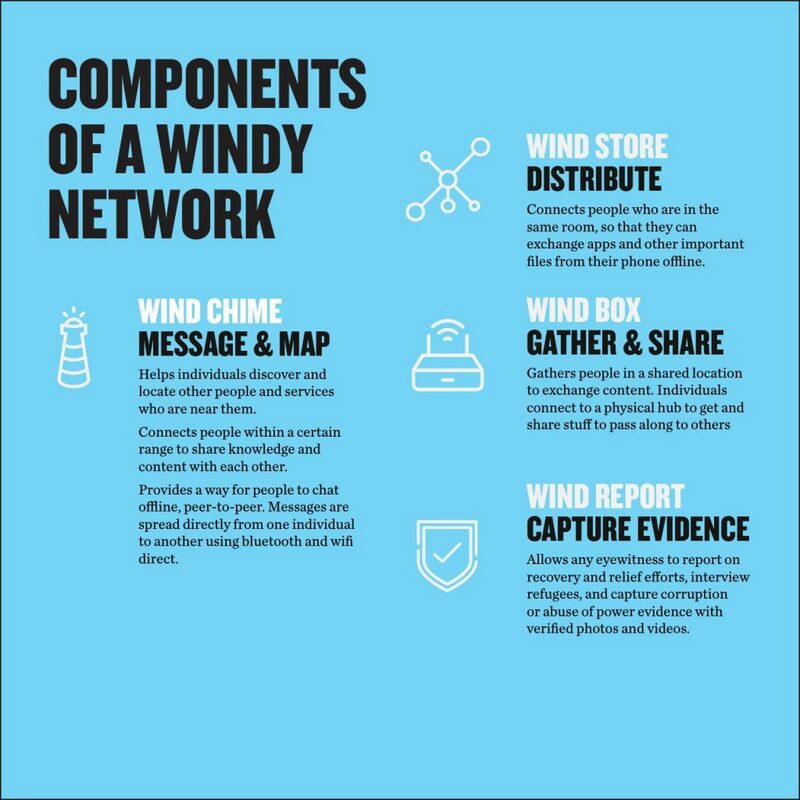 Wind is a direct counterpoint to the metaphor of the Web, a system built upon the concept of fixed physical nodes, centralized authorities and permanent links. 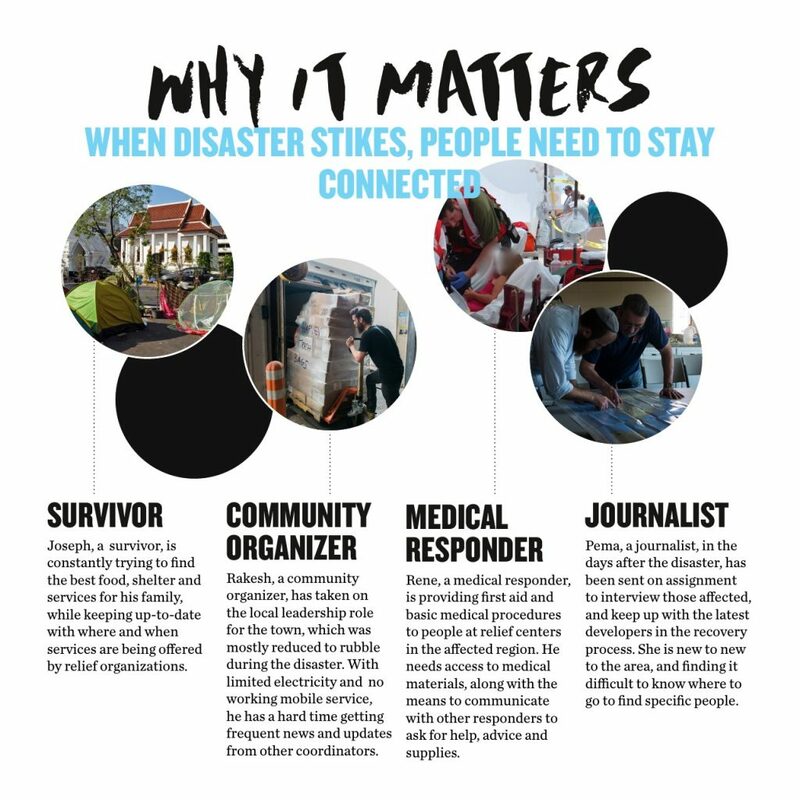 It is rooted in the mindsets and needs of people and communities who face challenges communicating. 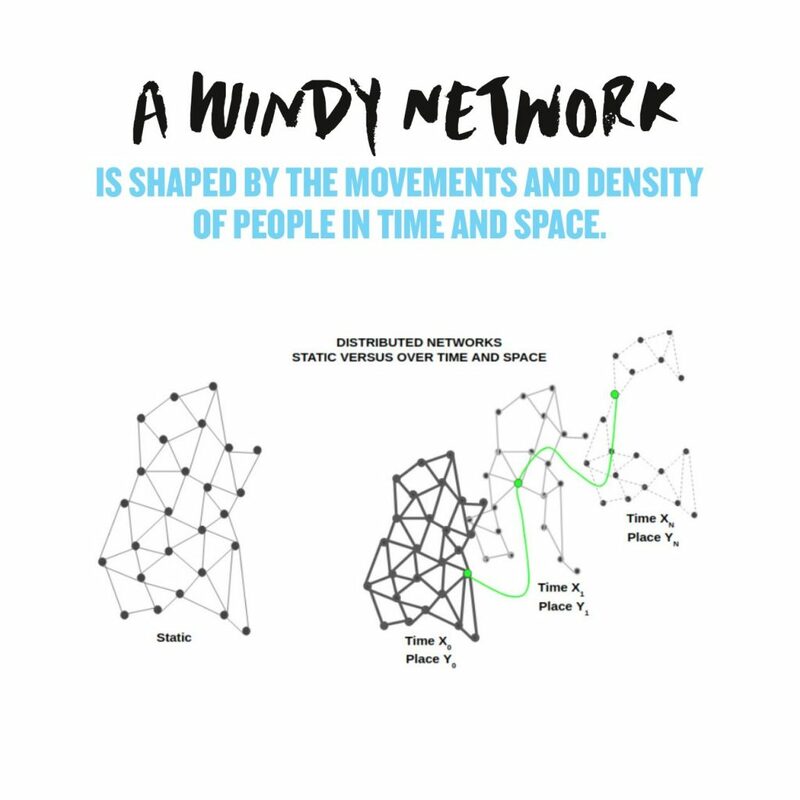 Wind is shaped by the movements and density of people in time and space. Starlings—“A murmuration of starlings” by Adam is licensed under CC BY 2.0. The image is a derivative of the original. “Headlight” icon by Identidea, from the Noun Project. 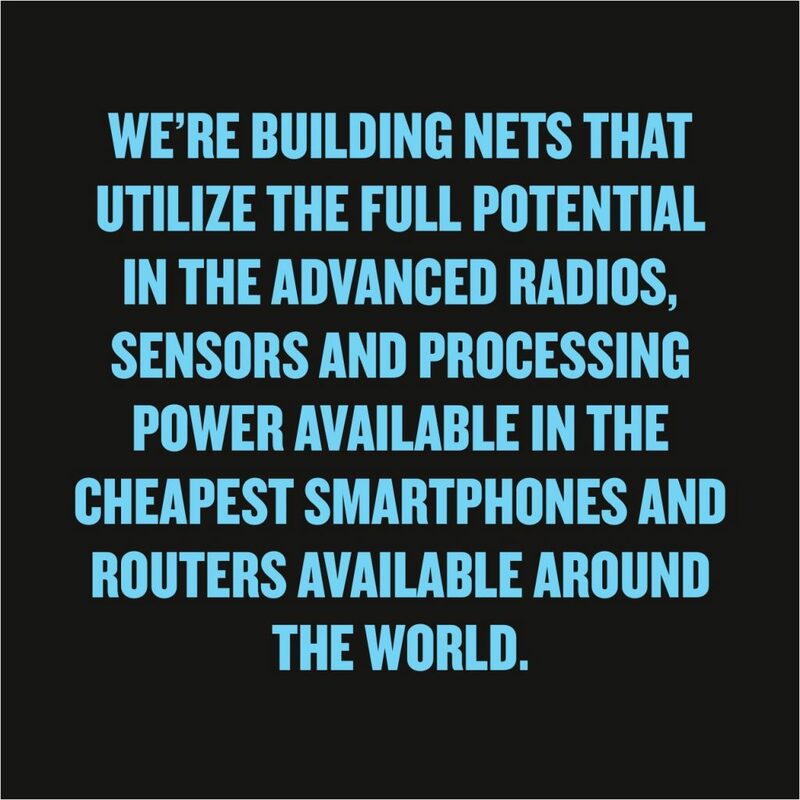 “Network” icon by UNiCORN, from the Noun Project. “Router” icon by Focus, from the Noun Project. “Verified” icon by Bestdesignmarket, from the Noun Project.